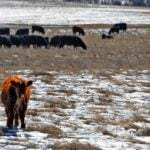 Every day without rain brings more worry to Alberta and Saskatchewan cattle producers. 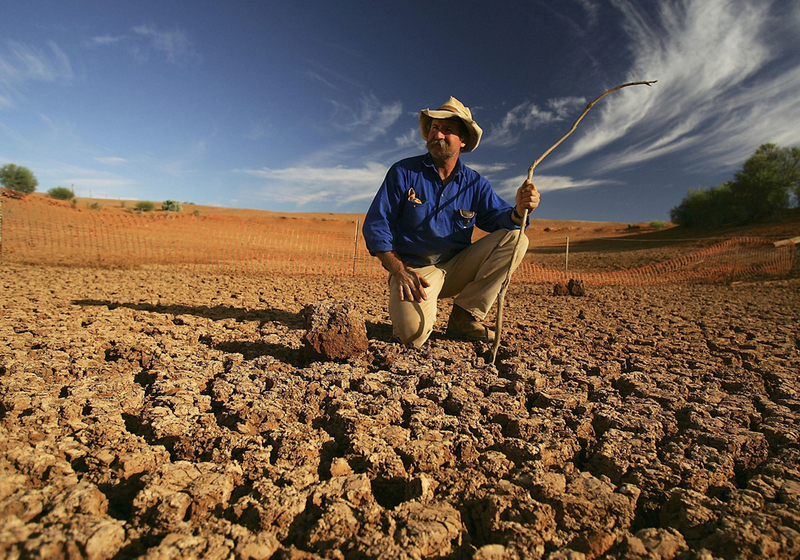 Pastures across wide areas in both provinces are parched, hay yields are generally below average and, in some places, livestock water sources have dried up. Potential feed shortages this winter are on many producers’ minds, which might result in sale of breeding stock to reduce herd numbers. That possibility prompted the Agricultural Producers Association of Saskatchewan to ask the federal government for early decisions on tax deferral. Usually those decisions are made late in the year and are regional but APAS wants producers across Saskatchewan to be eligible this year and given early notice so they can make plans. “It’s just one of the tools that can help producers that find themselves short of feed here, and so early in the season too,” said APAS president Todd Lewis. 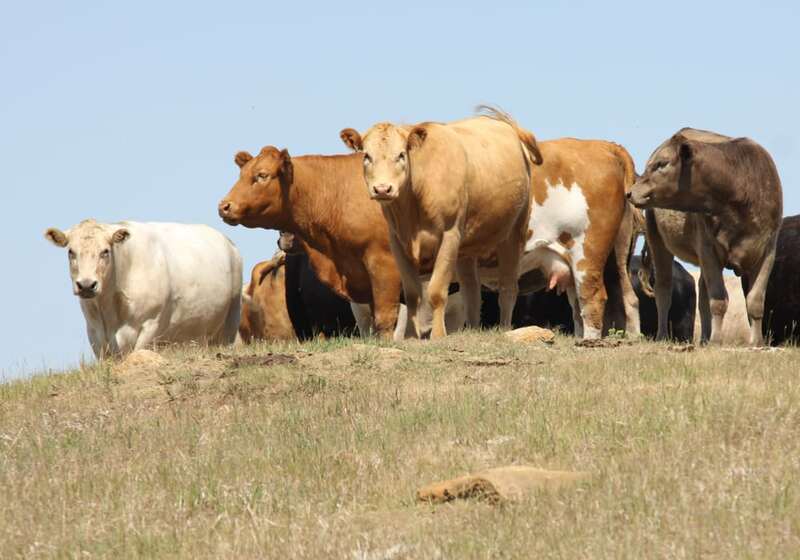 “There’s going to be some pretty hard decisions that are going to have to be made and unfortunately the cattle herd, some of it is going to be moved this fall. They’ll go to market. Producers just don’t have the feed or the water to keep them around. 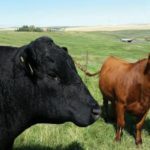 Alberta Beef Producers chair Charlie Christie said Aug. 20 that the Canadian Cattlemen’s Association is working on a request to make a tax deferral system permanent but details are pending. In the meantime, cattle producers watch the skies with one eye and pencil out their options with the other. Below normal rainfall in many areas, coupled with high temperatures, have jeopardized water supplies. Dugouts are low and some cattle have already been moved off usual pasture because water is in short supply. Lewis said APAS has had reports of livestock water limitations and Christie, who ranches near Trochu, has had to act already. 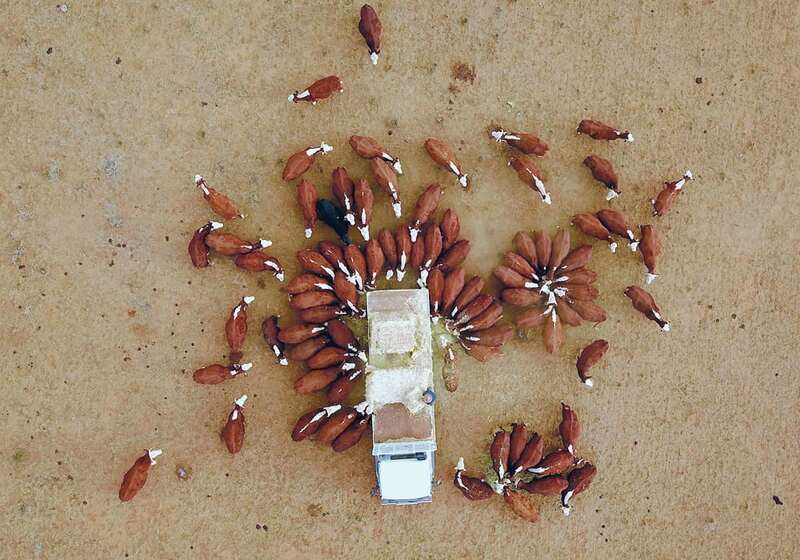 “We pulled some cattle off pasture because they were short of water, so I’m sure that’s an issue (elsewhere). I think you could assume that one,” he said. 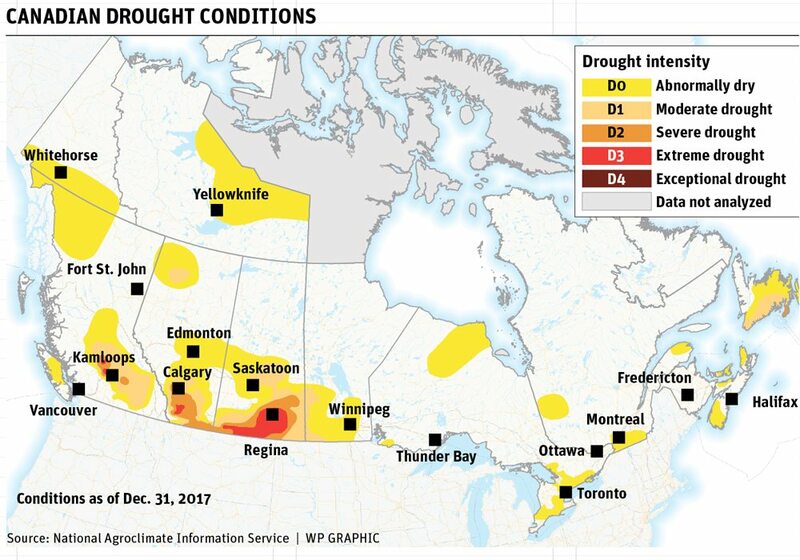 This is the second consecutive year with below average rainfall in parts of Saskatchewan and Alberta, and a cold, extended winter used up hay supplies. But this year’s hay crop is average at best and below average in many regions that weren’t favoured with timely rainfall. “There’s no reserve. That’s part of the challenge,” said Christie. Some cereal crops have been harvested for green feed, which will help the feed situation, though that will depend on quantity and price. 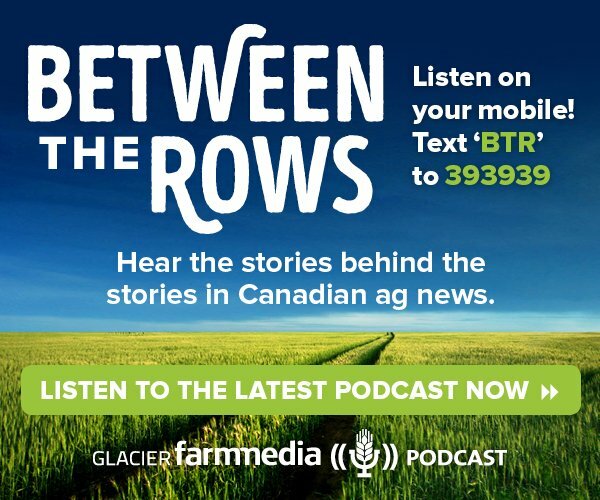 “That’s kind of our goal moving forward as an organization is to try and get a handle on just exactly where this crop is at and how much is there and is there enough to get us through the winter,” Christie said about ABP. Lewis said hay is selling in the $200 to $300 per ton range in Saskatchewan. 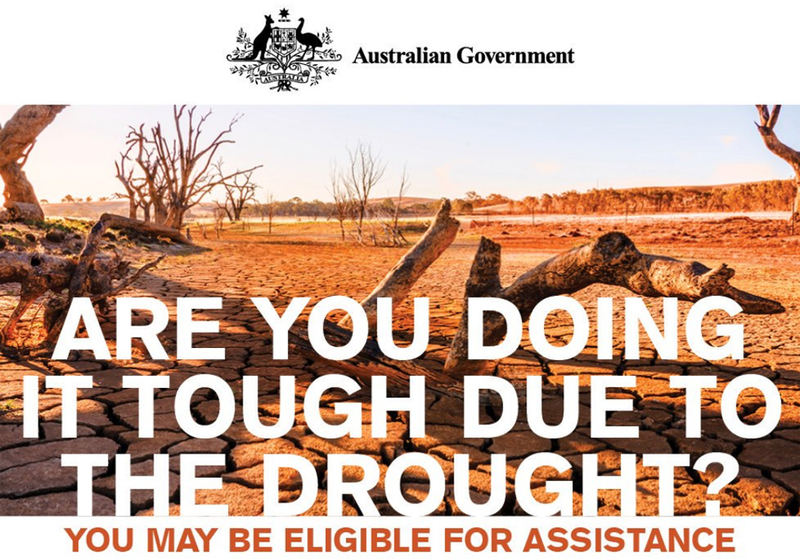 Rainfall that comes at this point would be welcome but pastures would still take a while to recover and it’s likely too late to boost hay production in time for another cut. Aaron Brower of the Western Stock Growers Association, who ranches near Milk River, Alta., said cattle might come off community pastures early because grass and water supplies are depleted. “The pastures are done. The grass has shut off. Some areas I’ve seen, the grass has got a grey tinge to it, so it’s well done,” Brower said. 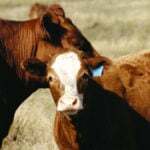 A selloff of breeding animals this fall looks likely given those factors, said Lewis, and an early decision on tax deferral would help producers take better advantage of market conditions if they do sell. 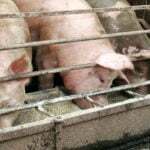 “The feed shortage is right now in a lot of areas and those producers are going to have to make decisions sooner than later.